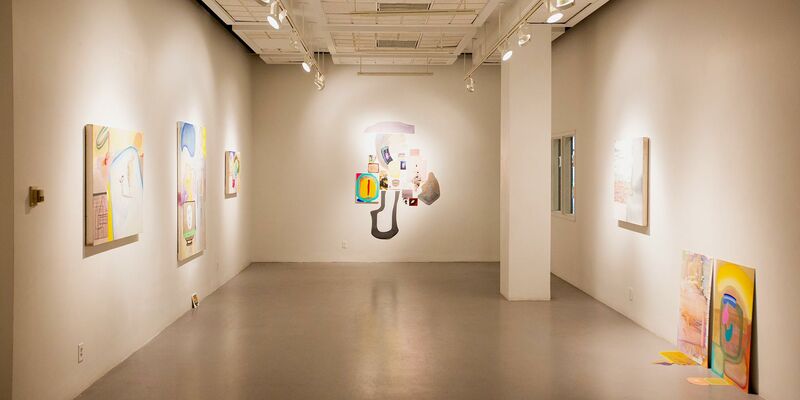 Students in the School of Art + Design have access to the LaVerne Krause Gallery, the Wallace and Grace Hayden Gallery, the CoreSTUDIO Project Annex, and the Washburn gallery. Three additional dedicated art exhibition spaces located in Lawrence Hall—the East Hall, West Hall, and Foyer Galleries—provide an opportunity to share undergraduate and graduate student work outside of the classrooms and studios and to engage the College of Design community at-large. Additional glass display cases in the main entry to Lawrence Hall allow for exhibition of work from College of Design students in this highly visible location. 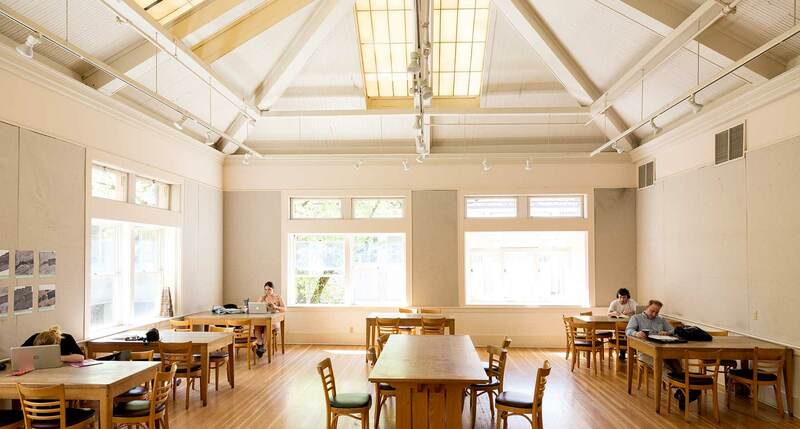 Students studying in Portland also have access to the Light Court Commons at the historic White Stag Block. The LaVerne Krause Gallery is a student art gallery located on the first floor in Lawrence Hall. The gallery was named in honor of Professor LaVerne Krause, who taught printmaking and painting from 1966 to 1986 and was an advocate for student exhibition opportunities. The gallery hosts new shows every week during the fall, winter, and spring terms and is open from 10:00 a.m. to 6:00 p.m. The Wallace and Grace Hayden Gallery was established through a generous gift from Professor and Mrs. Hayden. Professor Hayden was a dedicated faculty member, artist, architect, and innovator in construction design and technology who taught at the UO from 1930 to 1971. The gallery is dedicated to exhibiting professional design work and student work in architecture, landscape architecture, interior architecture, historic preservation, and urban and regional planning. The CoreSTUDIO Project Annex is an art exhibition space that allows CoreSTUDIO classes to exhibit and explore ideas as well as a space for Core students to view the work of invited visiting artists and MFA candidates. The Washburn is a project space in the Northsite complex that is particularly appropriate for undergraduates and graduate art students to develop one-person projects. It is a flexible multi-use exhibition, critique, and classroom space. 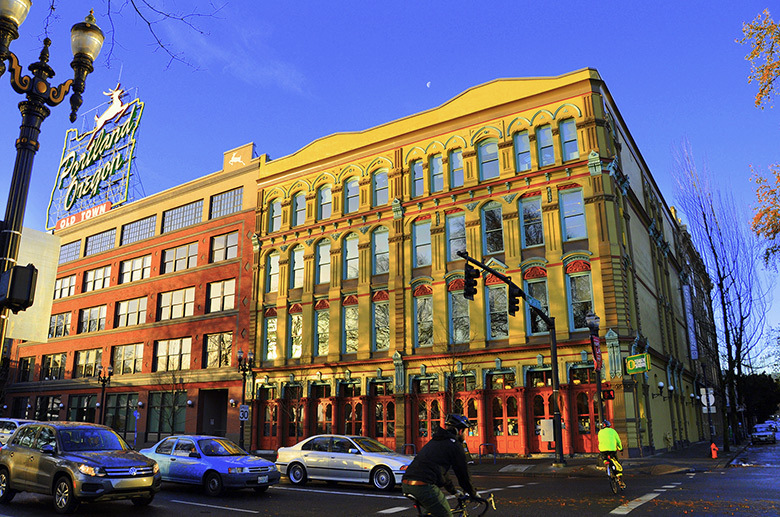 In addition to our classes and studios in Lawrence Hall, classes and studios are offered in the 942 Olive building located in downtown Eugene. The facility is equipped with a computer lab, studio workspace, and critique areas as well as the opportunity to rub shoulders with other inventors and business leaders. Students have easy access by bicycle or the LTD bus and EmX rapid transit system. Graduate students in Sports Product Design and Product Design BFA students in their final year study at the White Stag Block in Portland. The facility features state-of-the-art technology, light-filled workspaces, a curated art and design library, exhibition areas, studio spaces, an output room, shops and labs, and classrooms for lectures. The College of Design Output Room in Eugene is dedicated to providing high-quality digital imaging services to our students and the university community at affordable prices. Its large-scale plotters, high-resolution printers, and convenient location in Lawrence Hall make large-format printing a breeze. Students studying in Portland have access to the UO Portland Output Room located within the College of Design space in the White Stag Block. This facility offers high-quality, mediated wide-format printing and scanning and convenient hours. The College of Design provides students in the School of Art + Design with access to a full array of computing applications through its instructional and open computer labs located in Lawrence Hall, Hendricks Hall, and the Northsite to name a few. Students can get technical support through our College of Design Technology Services, the UO's Information Services, and peer-to-peer consulting. Students studying at UO Portland have access to labs and technology resources provided by the UO Portland Library & Learning Commons. Located in Eugene, the Studio Shop is a resource for students enrolled in School of Art + Design and other College of Design courses. The open shop environment provides a safe, and professionally supervised space in which students can create high-quality projects, while learning skills that further prepare them to excel in their careers. The Fab Lab, located in Portland at the White Stag Block, is a resource for School of Art + Design and College of Design students in Portland. The Fab Lab has two laser cutters, a 3D printer, two CNC cutters, and a woodshop. The Design Library is a major center for art and architectural information in the Pacific Northwest. Occupying three floors of Lawrence Hall, the library's sunlit spaces and comfortable seating provide a welcoming environment for students. A two-story reading room is named after Marion Dean Ross, whose bequest enabled the development of a rich collection of rare architectural history books. 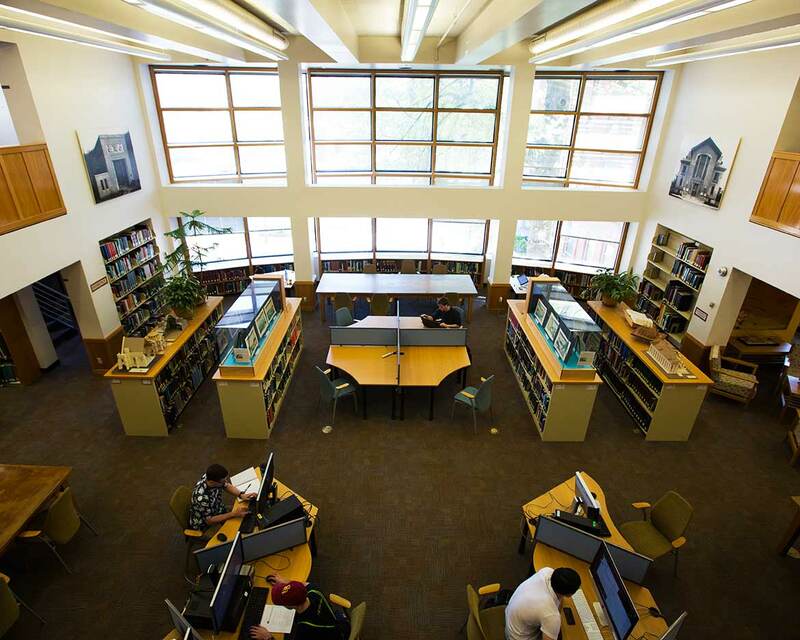 Students also have access to the UO's wide range of collections and services at other UO libraries around campus and through its partner institutions. 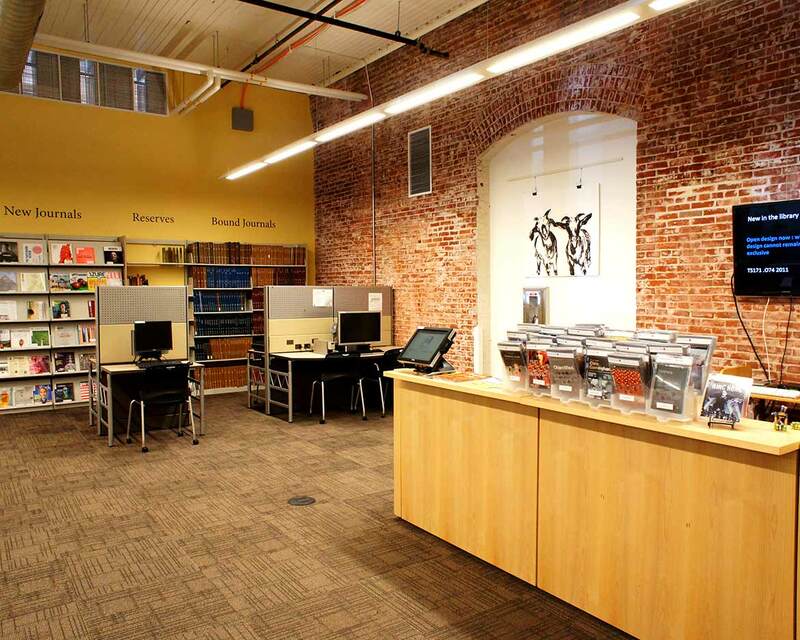 The UO Portland Library & Learning Commons, located in the beautifully renovated White Stag Block in the historic Old Town neighborhood, provides integrated learning spaces, collections, reference and consulting services, and technology access to support the UO's academic programs in Portland. Students also have access to the full array of UO libraries in Eugene and robust resources through partner institutions. Located on the second floor of Lawrence Hall, the cozy, light-filled Willcox Hearth was named for W.R.B. Willcox, the head of the architecture program from 1922 to 1947. Willcox had a tradition of opening his home to students once a week for informal discussions, and that tradition that lives on in the Hearth where you can grab a coffee and a pastry and catch up with friends and colleagues.